This is an amazing blanket made of stitch on daisies. This is a very impressive stitch and very simple to crochet. This is a pattern that is very decorative. This is a free pattern. The blanket is in beautiful, neutral colours. You can change shades if you want. The pattern is delicate and soft to the touch. 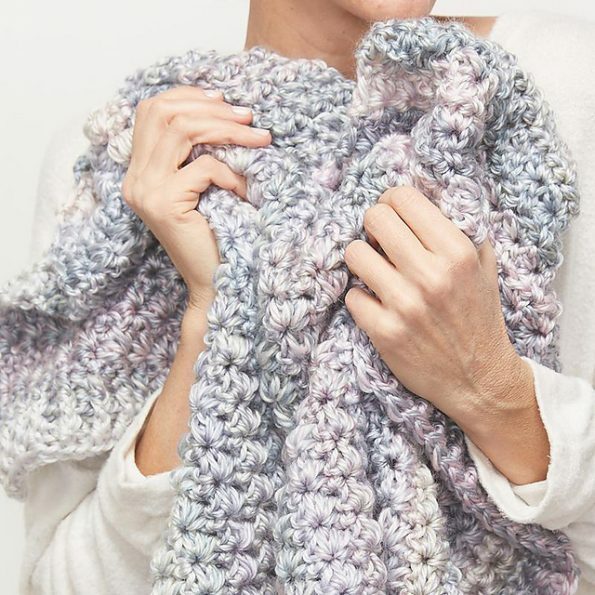 It is made of Cascade Yarns® Big Wheel. This design is great as a gift or as a decoration for your home interior. The blanket from the photo is 32″ video x 38″ long. Good luck! Winter Flower Blanket Free Crochet Pattern is here.